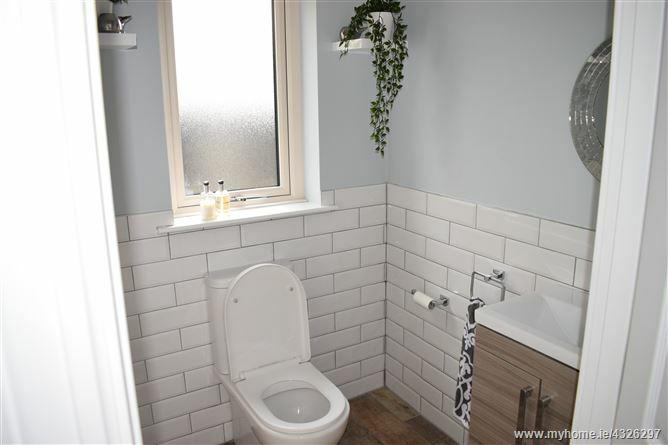 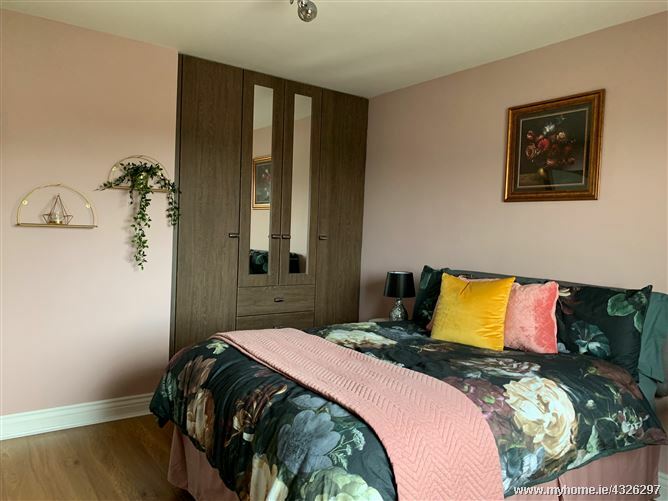 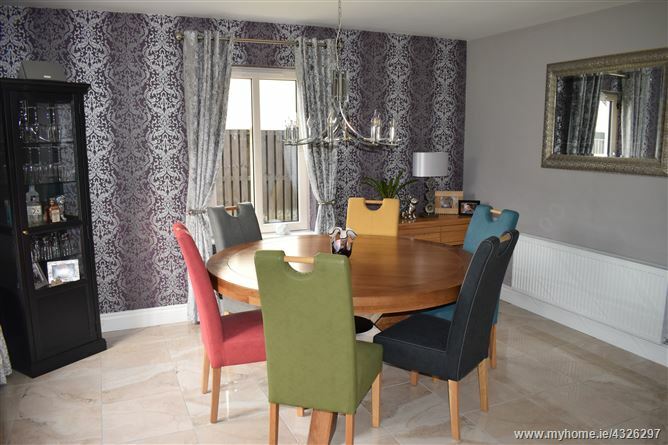 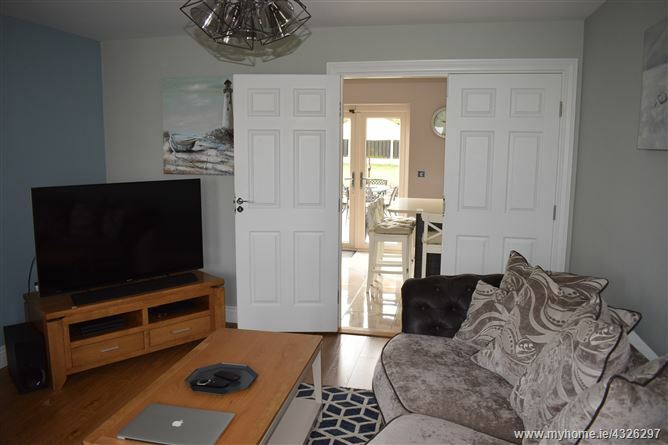 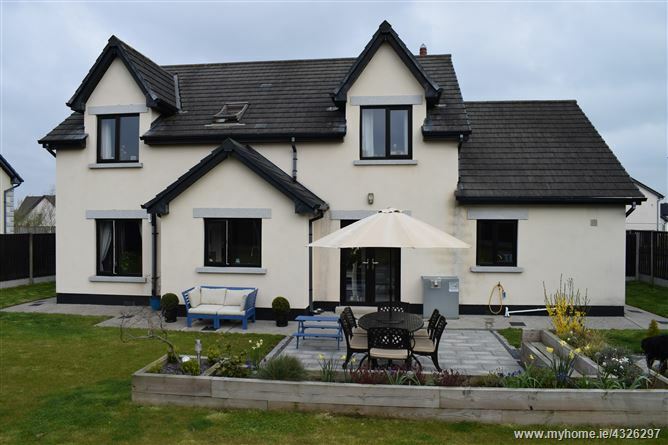 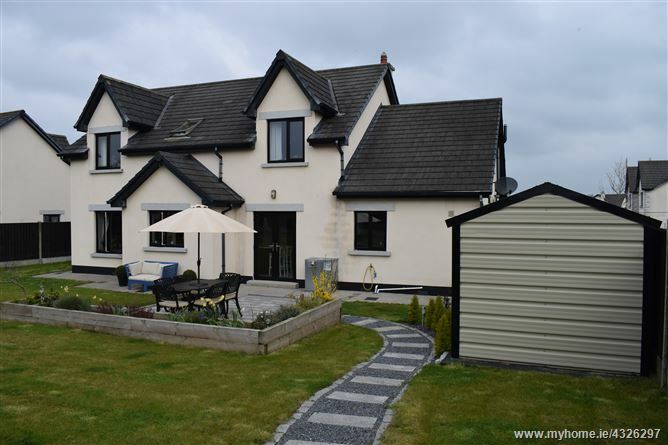 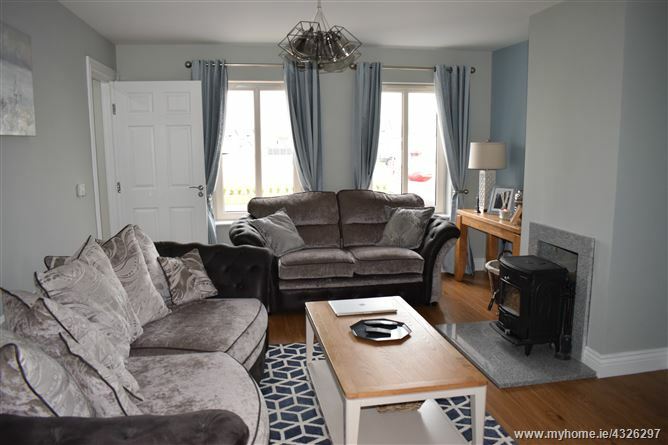 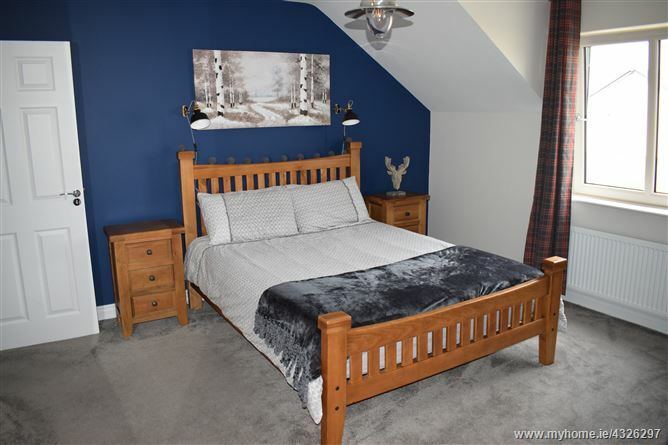 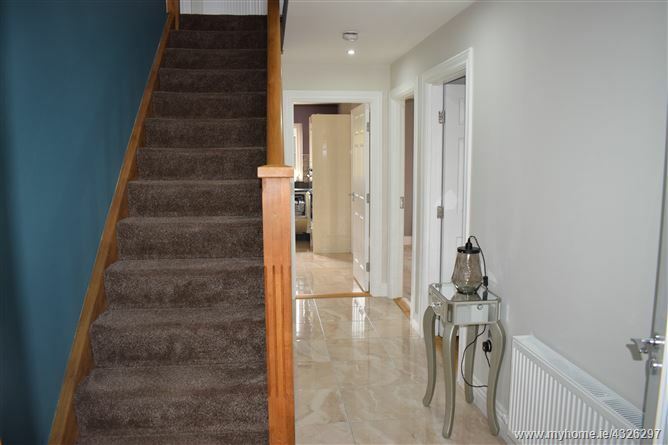 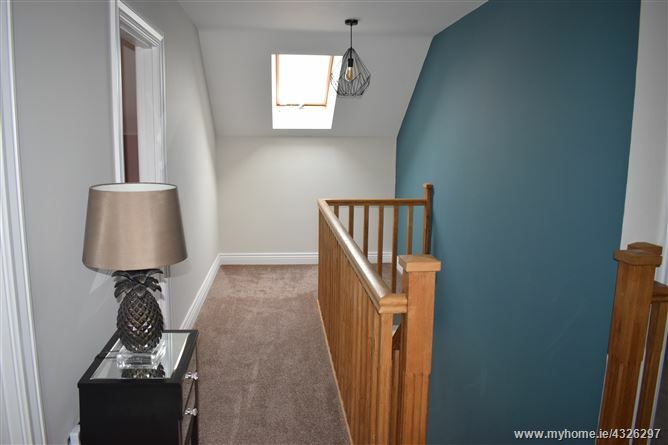 The beautiful and well maintained exterior of this 4-bedroom, detached property, gives a good first hint of the delightful interior to be found within. 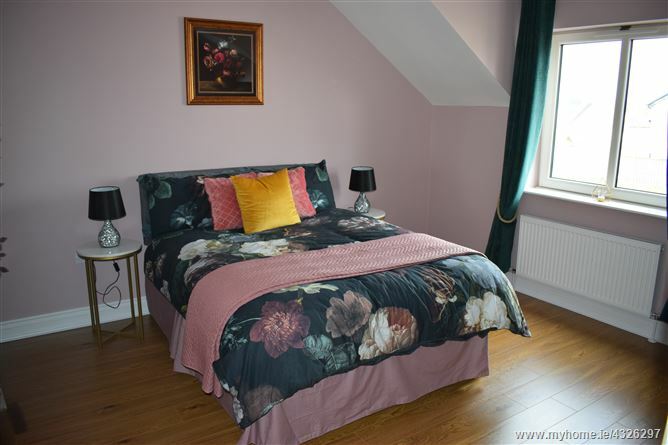 Every room is simply stunning in its presentation and décor. 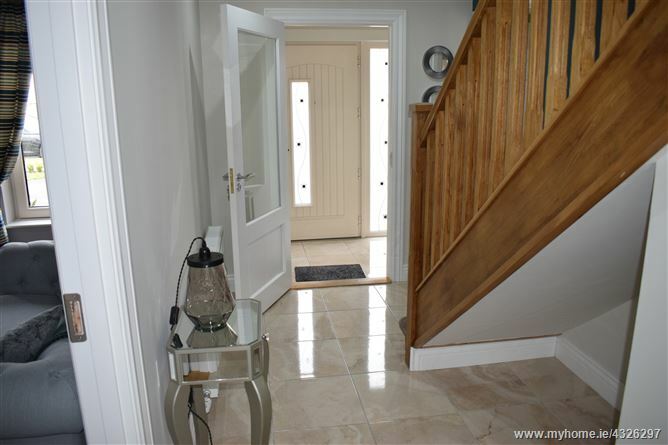 Porcelain flooring flows from the hallway, through kitchen, dining room and utility. 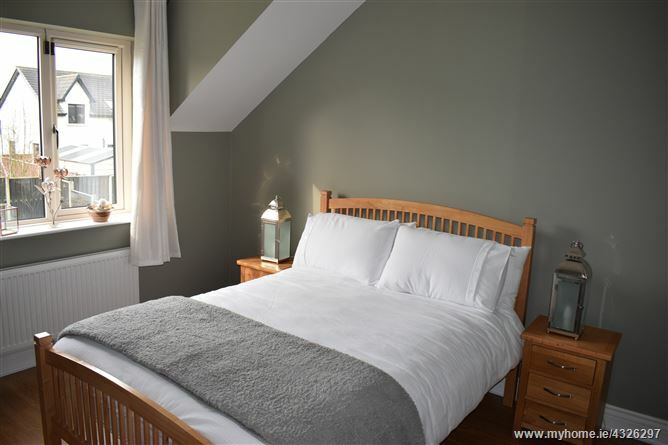 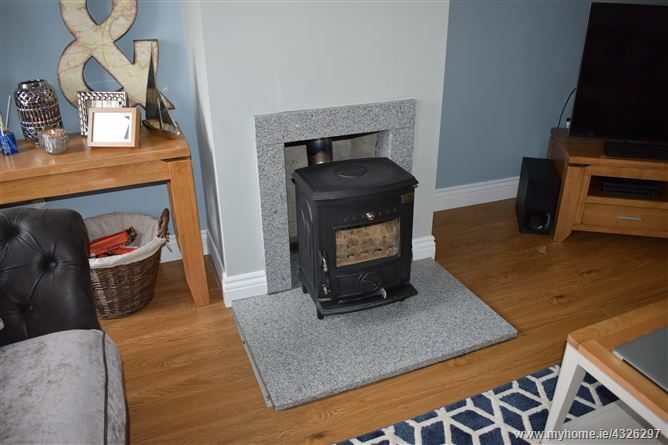 Relax in a choice of 2 comfortable reception rooms, both with wood flooring, one with a cosy solid-fuel stove on granite hearth. 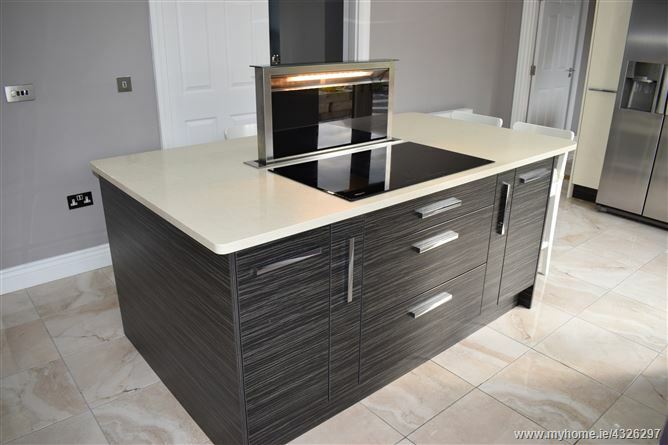 And the gem of the ground floor has to be the fabulous Newhaven fitted kitchen with island unit that is sure to inspire your inner-chef. 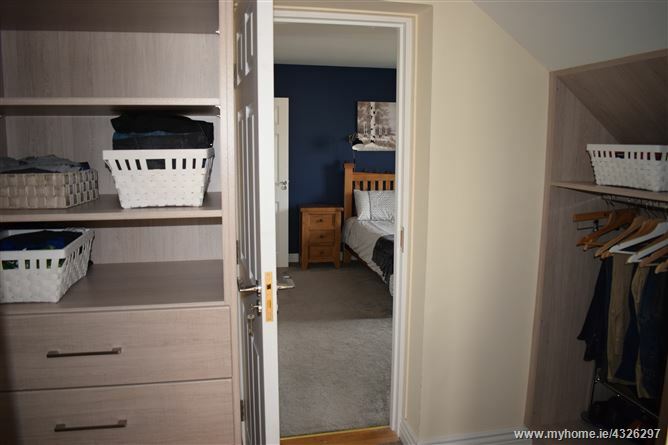 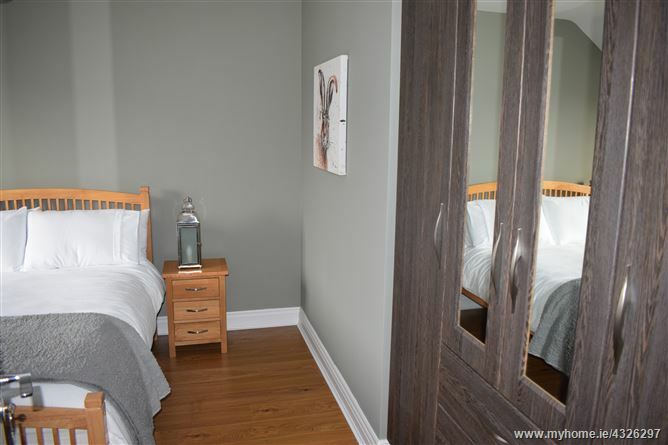 All bedrooms are spacious doubles, with the master bedroom boasting a walk-in wardrobe with fitted storage and a bright, modern en-suite. 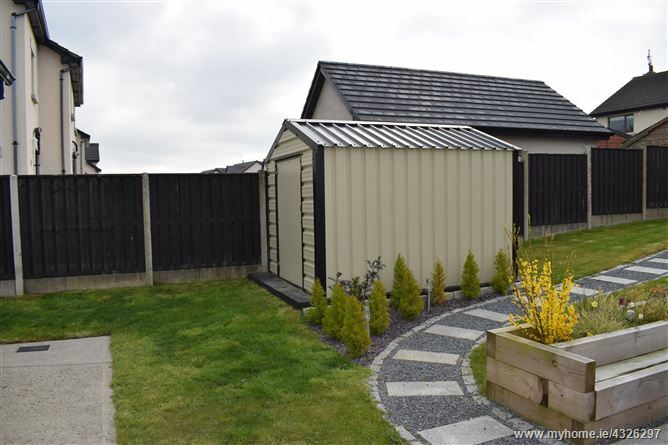 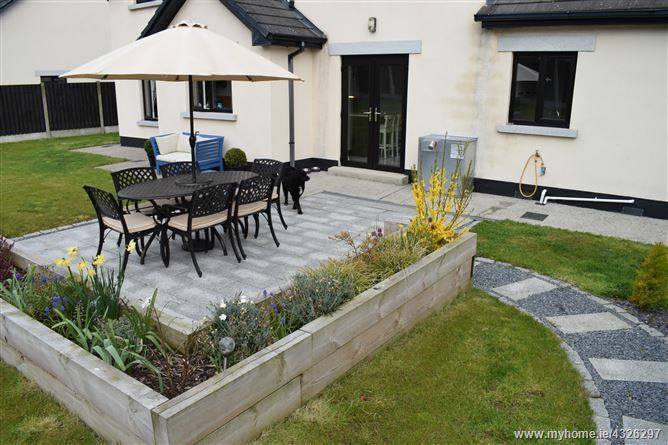 Equal care and attention has been given to the planning of the rear garden which boasts a large patio area for relaxation, well-tended lawns, and raised beds. 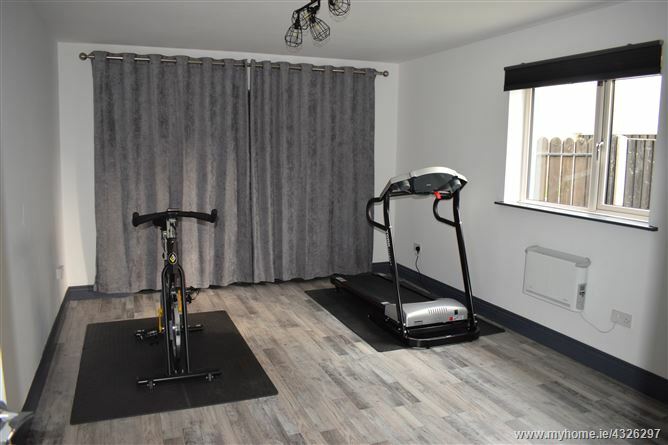 There is lots of off-street parking to the front of the property and a garage, currently serving as a gym. 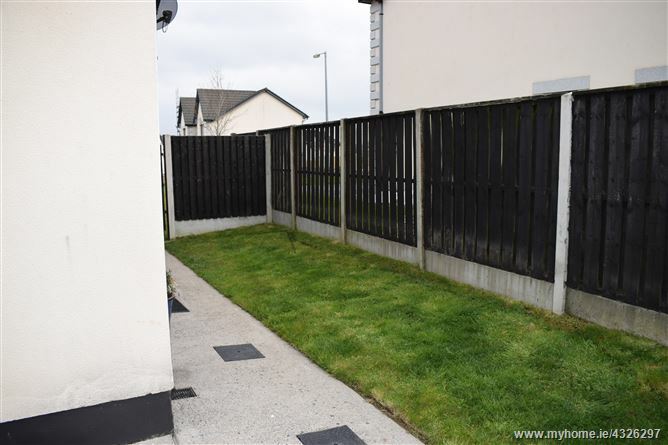 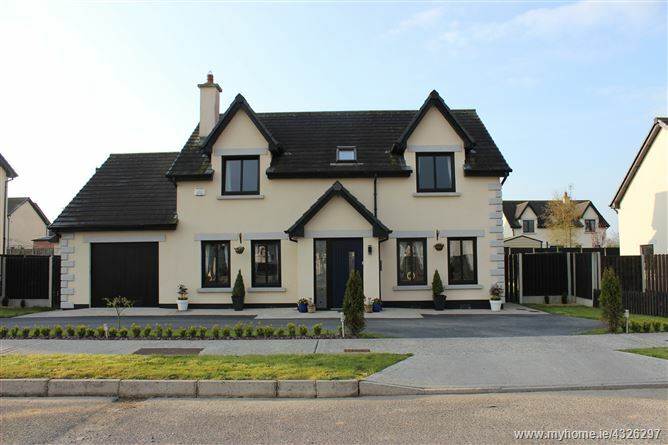 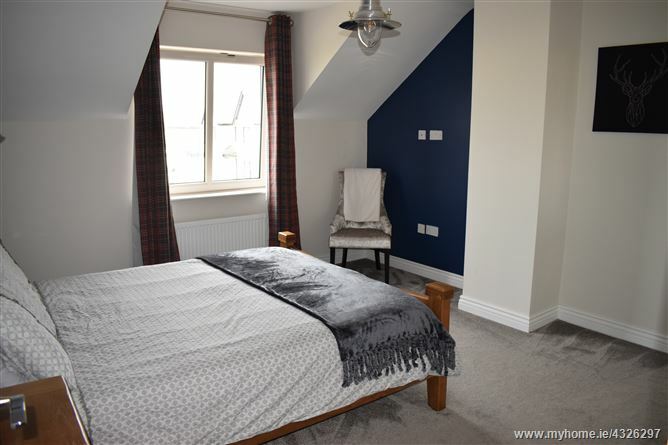 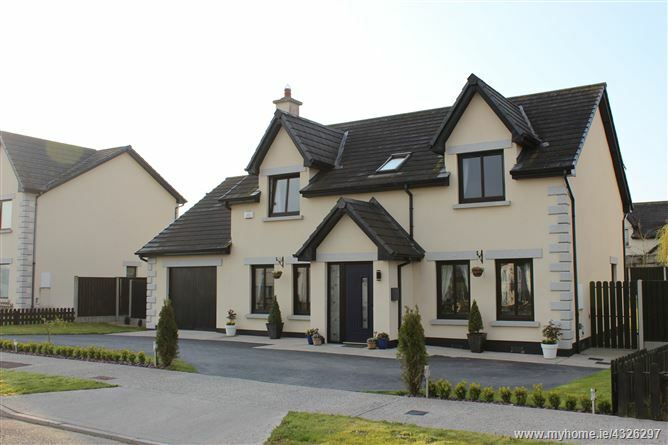 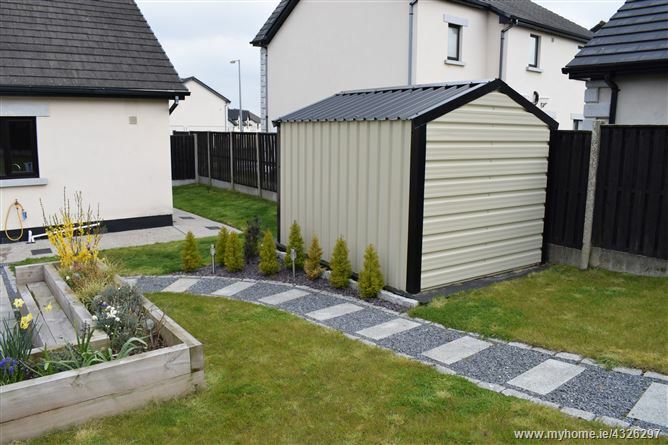 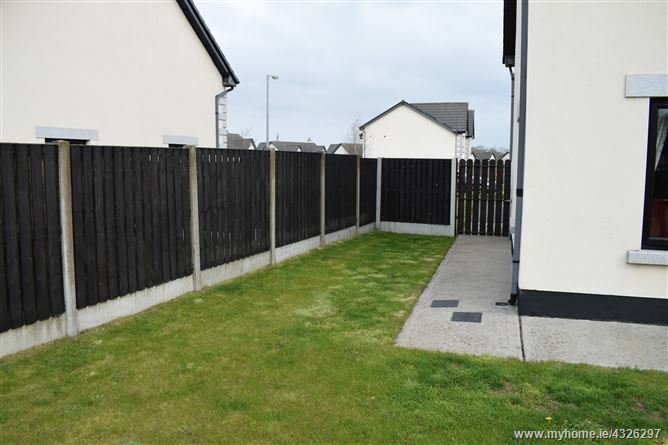 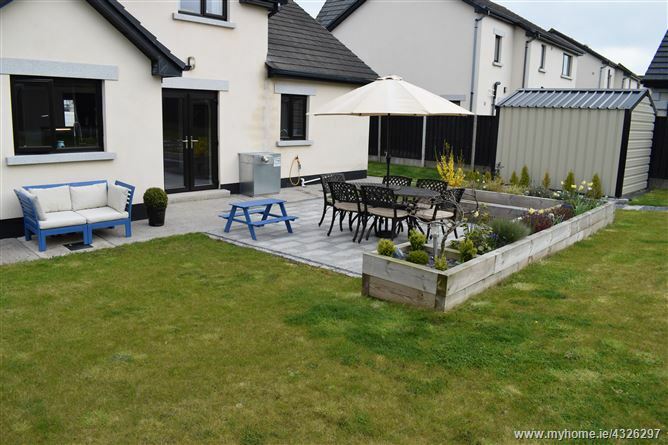 Park Gate is a modern development in easy walk of Tullow town centre. 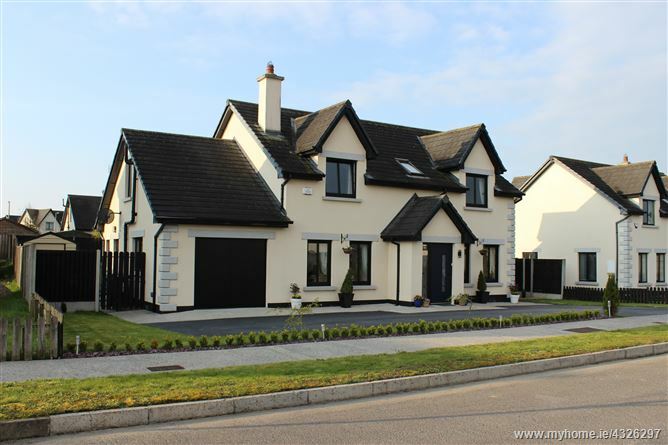 Tullow has all the amenities necessary for family life, is just 20 minutes' drive from Carlow town and 1 hours' drive to the M50. 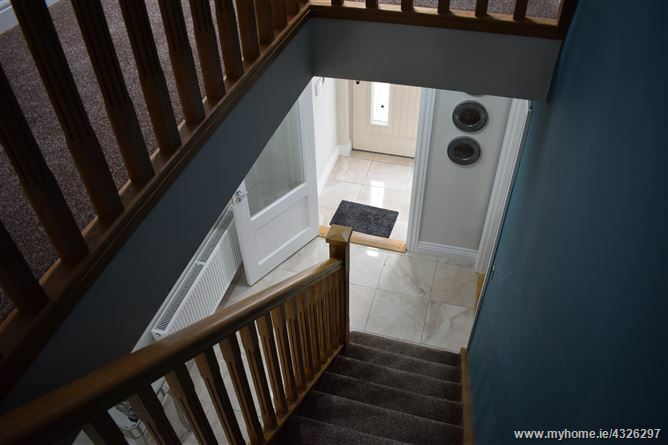 Porcelain floor tiles, recessed lighting, alarm pad. 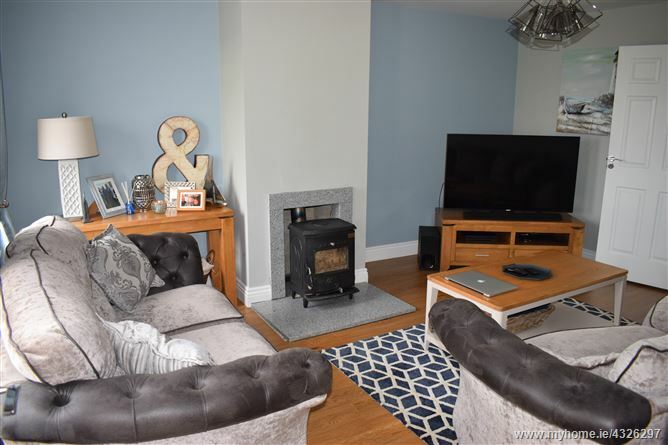 Wood flooring, open fireplace with polished granite hearth and solid fuel stove, TV point, double doors to kitchen, front aspect. 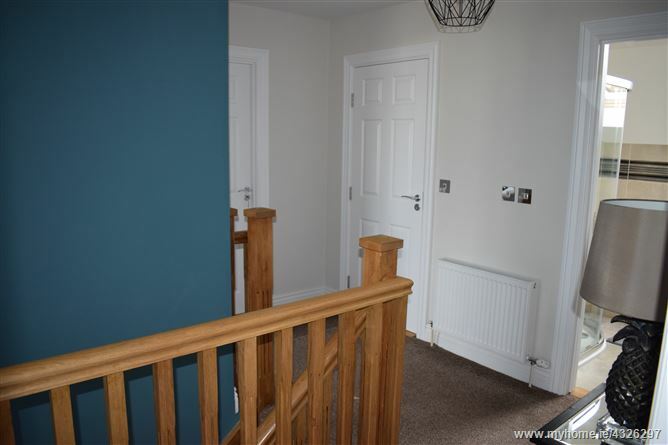 Wood flooring, bright room with 2 windows, front aspect. 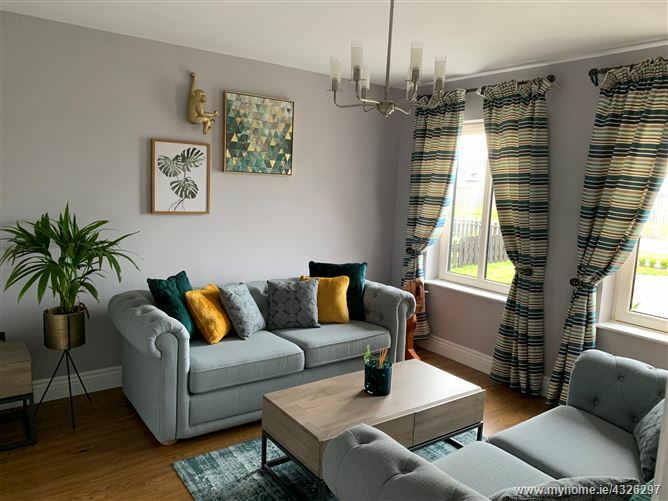 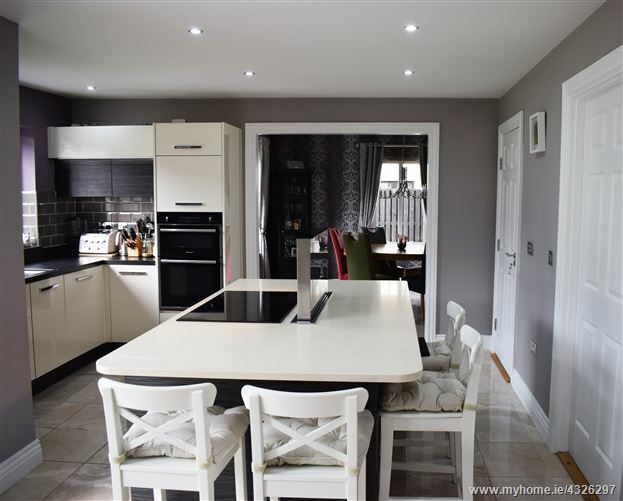 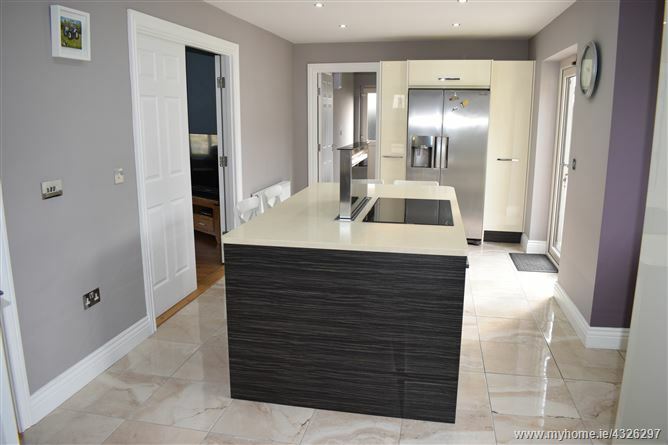 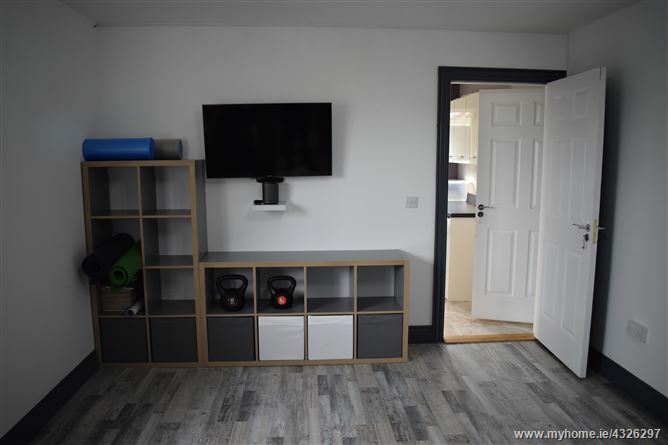 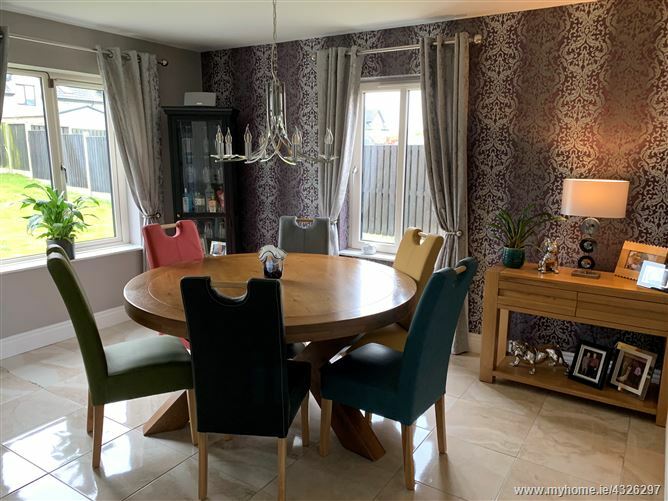 Porcelain floor tiles, fabulous Newhaven fitted kitchen with island unit, stone worktop, subway tiled backsplash, recessed lighting, double doors to dining room, double doors to living room, French doors to rear patio. 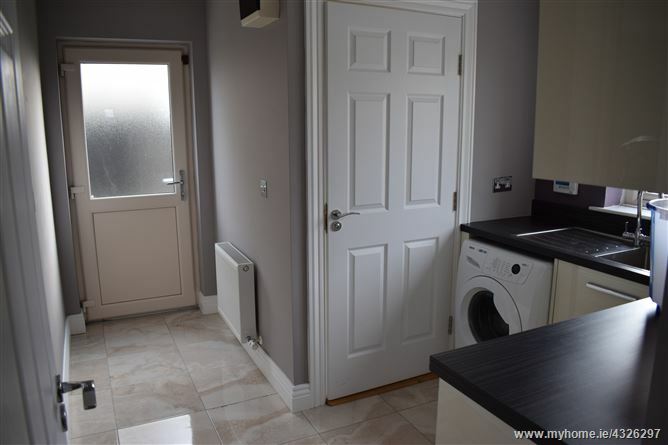 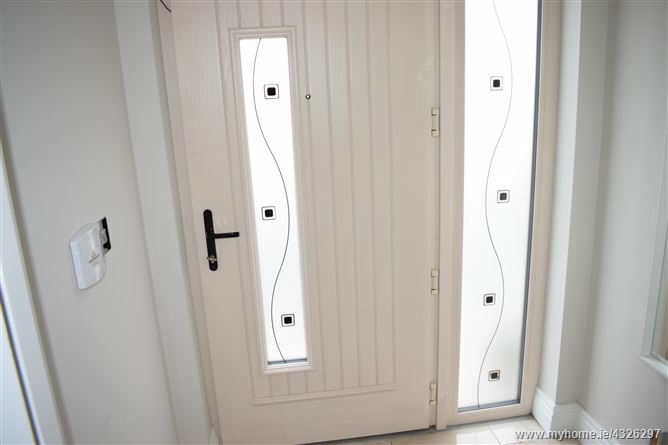 Porcelain flooring, double doors to kitchen. 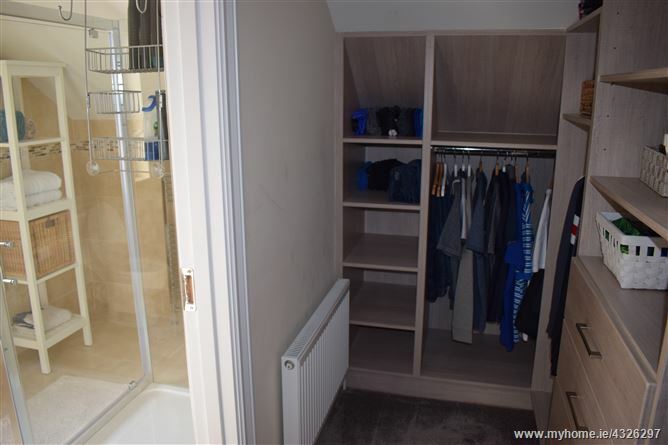 Porcelain floor tiles, fitted floor and wall units, sink, plumbed and wired for all utilities, back door. 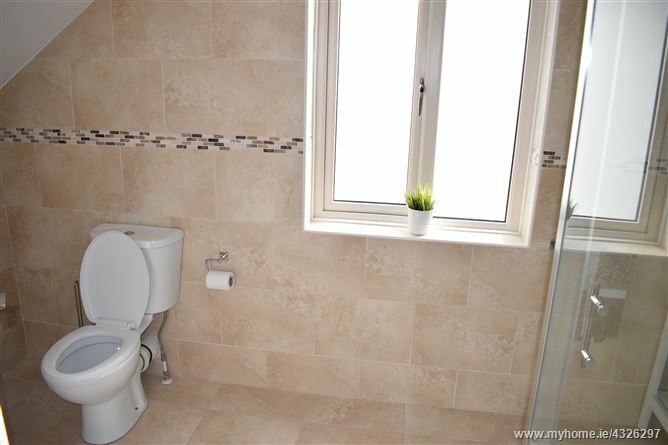 Tiled floor, partially tiled walls, WC, WHB with cabinet, window. 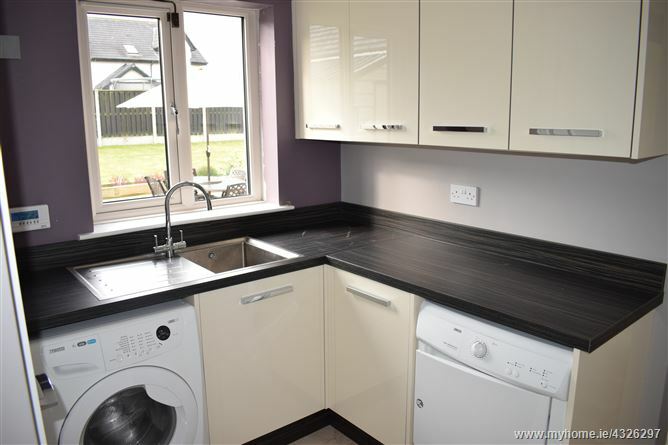 Off utility room, laminate flooring, electric radiator, TV point. 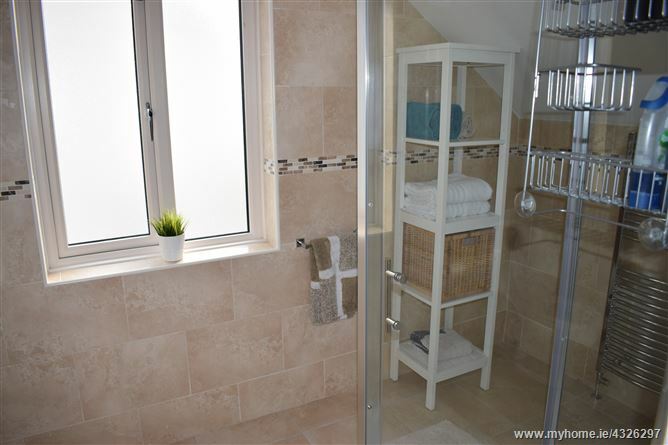 Fully tiled floor and walls, WC, WHB, shower, window. 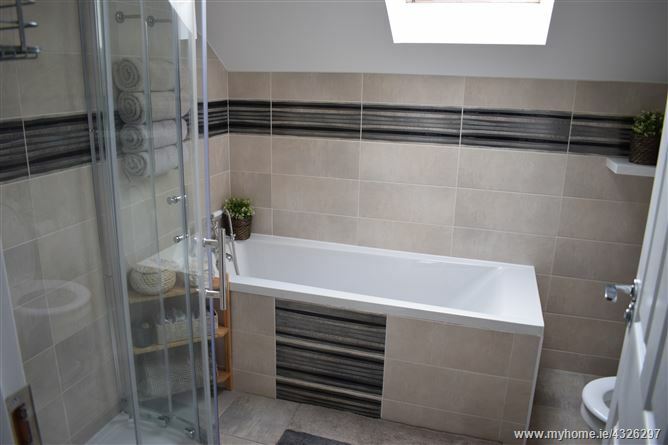 Fully tiled floor and walls, WC, WHB, bath, shower unit, velux window.